Thats all. Game finished - Colón Santa Fe 1, Estudiantes de La Plata 1. Second Half ended - Colón Santa Fe 1, Estudiantes de La Plata 1. Missed chance. Gonzalo Bueno - Colón Santa Fe - shot with left foot from outside the box is close, but missed. Assist - Gonzalo Escobar. Missed chance. Cristian Bernardi - Colón Santa Fe - shot with right foot from outside the box is very close to the goal from a free kick. Cristian Bernardi - Colón Santa Fe - won a free kick in attack. Lucas Albertengo - Estudiantes de La Plata - won a free kick in defence. Gustavo Toledo - Colón Santa Fe - won a free kick in defence. Substitution - Estudiantes de La Plata. Gastón Campi for Iván Erquiaga - injury. Mariano González - Colón Santa Fe - won a free kick in attack. Delay in match Iván Erquiaga - Estudiantes de La Plata - - injury. Corner - Colón Santa Fe. Conceded by Iván Erquiaga. Leonardo Burián - Colón Santa Fe - receive yellow card. Lucas Rodríguez - Estudiantes de La Plata - won a free kick in defence. New attacking attempt. Javier Correa - Colón Santa Fe - shot with the head from the centre of the box is saved in the top right corner. Assist - Gonzalo Bueno with a cross. 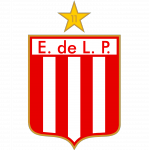 Mariano Andújar - Estudiantes de La Plata - won a free kick in defence. Missed chance. Gonzalo Escobar - Colón Santa Fe - shot with right foot from outside the box missed. Rodrigo Braña - Estudiantes de La Plata - won a free kick in defence. Substitution - Estudiantes de La Plata. Nahuel Estévez for Gastón Fernández. Substitution - Colón Santa Fe. Cristian Bernardi for Franco Zuculini. Corner - Colón Santa Fe. Conceded by Jonathan Schunke. Shot blocked. Mariano González - Colón Santa Fe - shot with right foot from the centre of the box is blocked. Assist - Gustavo Toledo with a cross. Substitution - Colón Santa Fe. Gonzalo Bueno for Leonardo Heredia. Missed chance. Gastón Fernández - Estudiantes de La Plata - shot with right foot from outside the box goes high from a free kick. Gastón Fernández - Estudiantes de La Plata - won a free kick in attack. Goal! 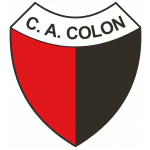 Colón Santa Fe 1, Estudiantes de La Plata 1. Gastón Fernández - Estudiantes de La Plata - shot with right foot from outside the box to the left corner. Assist - Iván Gómez. Guillermo Ortíz - Colón Santa Fe - won a free kick in defence. Missed chance. Franco Zuculini - Colón Santa Fe - shot with right foot from outside the box goes high. Missed chance. Javier Correa - Colón Santa Fe - shot with left foot from a diffucult position on the left goes high. Assist - Matías Fritzler after corner. Corner - Colón Santa Fe. Conceded by Lucas Albertengo. Corner - Colón Santa Fe. Conceded by Rodrigo Braña. New attacking attempt. Lucas Albertengo - Estudiantes de La Plata - shot with the head from the centre of the box is saved in the right corner. Assist - Lucas Rodríguez. Shot blocked. Fabián Noguera - Estudiantes de La Plata - shot with the head from the centre of the box is blocked. Assist - Gastón Fernández with a cross. Corner - Estudiantes de La Plata. Conceded by Leonardo Heredia. Substitution - Estudiantes de La Plata. Lucas Albertengo for Fernando Zuqui. Corner - Estudiantes de La Plata. Conceded by Leonardo Burián. New attacking attempt. Mariano Pavone - Estudiantes de La Plata - shot with the head from the centre of the box is saved in the top centre of the goal. Assist - Facundo Sánchez with a cross. Delay in match Franco Zuculini - Colón Santa Fe - - injury. Iván Erquiaga - Estudiantes de La Plata - receive yellow card for a foul. Franco Zuculini - Colón Santa Fe - won a free kick in attack. Missed chance. Gonzalo Escobar - Colón Santa Fe - shot with left foot from outside the box goes high. Assist - Matías Fritzler. Leonardo Heredia - Colón Santa Fe - won a free kick on the right wing. Substitution - Colón Santa Fe. Mariano González for Tomás Chancalay. Second Half starts Colón Santa Fe 1, Estudiantes de La Plata 0. First Half ended - Colón Santa Fe 1, Estudiantes de La Plata 0. Mariano Pavone - Estudiantes de La Plata - won a free kick in attack. Goal! Colón Santa Fe 1, Estudiantes de La Plata 0. Javier Correa - Colón Santa Fe - converts the penalty with a shot with right foot to the right corner. Penalty conceded by Mariano Andújar - Estudiantes de La Plata - after a foul in the penalty area. Penalty Colón Santa Fe. Leonardo Heredia draws a foul in the penalty area. Corner - Colón Santa Fe. Conceded by Fernando Zuqui. Shot blocked. Marcelo Estigarribia - Colón Santa Fe - shot with right foot from the centre of the box is blocked. Shot blocked. Javier Correa - Colón Santa Fe - shot with left foot from the right side of the box is blocked. Facundo Sánchez - Estudiantes de La Plata - won a free kick in defence. Corner - Estudiantes de La Plata. Conceded by Matías Fritzler. Corner - Estudiantes de La Plata. Conceded by Guillermo Ortíz. 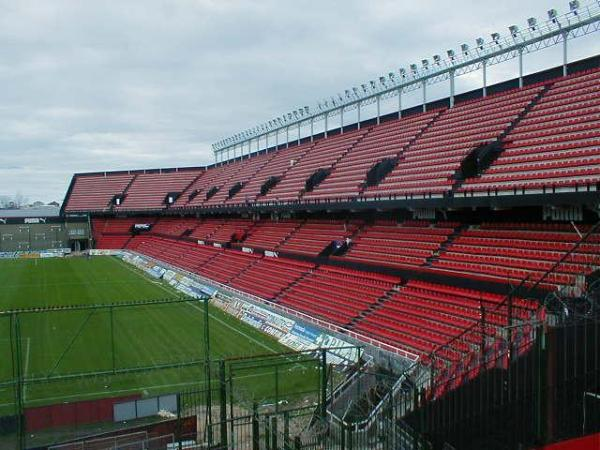 Corner - Estudiantes de La Plata. Conceded by Emanuel Olivera. Shot blocked. Mariano Pavone - Estudiantes de La Plata - shot with left foot from outside the box is blocked. Assist - Iván Gómez. Missed chance. Fernando Zuqui - Estudiantes de La Plata - shot with the head from the centre of the box missed to the left. Assist - Iván Erquiaga with a cross. Missed chance. Tomás Chancalay - Colón Santa Fe - shot with right foot from outside the box missed to the left from a free kick. Gonzalo Escobar - Colón Santa Fe - won a free kick in attack. Missed chance. Fernando Zuqui - Estudiantes de La Plata - shot with right foot from outside the box goes high . Mariano Pavone - Estudiantes de La Plata - won a free kick on the right wing. Offside - Colón Santa Fe. Matías Fritzler with a pass, however Tomás Chancalay is in offside. Gastón Fernández - Estudiantes de La Plata - won a free kick in defence. Marcelo Estigarribia - Colón Santa Fe - won a free kick in attack. Missed chance. Lucas Rodríguez - Estudiantes de La Plata - shot with right foot from outside the box is high and wide to the right . Iván Gómez - Estudiantes de La Plata - won a free kick in attack. Missed chance. Mariano Pavone - Estudiantes de La Plata - shot with right foot from outside the box is high and wide to the left. Mariano Pavone - Estudiantes de La Plata - won a free kick in defence. Matías Fritzler - Colón Santa Fe - won a free kick in defence. Offside - Colón Santa Fe. Gustavo Toledo with a pass, however Javier Correa is in offside. New attacking attempt. Franco Zuculini - Colón Santa Fe - shot with right foot from the centre of the box is saved by goalkeeper in the centre of the goal. Assist - Leonardo Heredia. New attacking attempt. Javier Correa - Colón Santa Fe - shot with right foot from outside the box is saved in the right corner.